The makers of Saaho are leaving no stone unturned to prevent any photos or videos from being leaked. 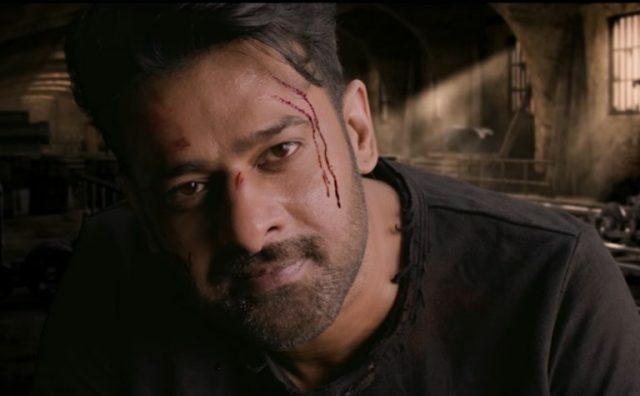 According to a leading daily, the makers of ‘Saaho’ have decided to ban the use of mobile phones during the Abu Dhabi schedule in order to ensure that Prabhas’ look remains a guarded secret. Confirming the same, a source said that the makers are leaving no stone unturned to prevent any photos or videos from being leaked. In fact, they have even kept the exact location of the shoot a secret. “Since it is the first outdoor schedule for the film, Saaho makers are being cautious and taking preventive measure against leaks and will beef up the security on sets. Diktat has been issued against the use of cell phones on sets. We have not yet received specifications of the locations of our Abu Dhabi schedule. Makers are leaving no stone unturned to ensure that no content from the sets is leaked and for the same have kept shoot locations a secret. There will also be multiple vanity vans to protect the look of Prabhas,” added the source. Well, we wish the makers of ‘Saaho’ the very best and hope that they have a hassle-free experience in Abu Dhabi, In case you did not know, ‘Saaho’ is touted to be an action-thriller and is being directed by Sujeeth. Its teaser was released a few months ago and created a buzz amongst movie buffs. Besides Prabhas, it also features Shraddha Kapoor and Neil Nitin Mukesh in the lead. If all goes as planned. ‘Saaho’ will hit screens in 2018.